In 2010 The Immortal Life of Henrietta Lacks by Rebecca Skloot was published. It is one of the most important and interesting non-fiction books that I have read. 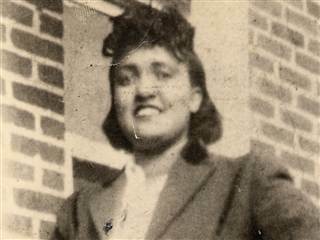 Henrietta Lacks was diagnosed with cervical cancer. Cell samples were removed from the tumor that were cancerous and healthy. The discovery by a medical researcher that Henrietta's cells continued to grow was in itself a major breakthrough. HeLa cells as they are known have been the basis of thousands of studies and the development of different medical responses to a wide variety of diseases. 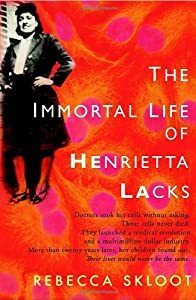 While this aspect of Henrietta's immortal life is definitely positive, there is the side of HeLa cells that has never been handled in an ethical manner by medical research community. Henrietta Lacks did not give any form of consent to use her cells. Her husband and children had no idea that her cells were being grown and sold by companies on a global basis. The family became aware that the cells existed in the Seventies when her children were contacted by medical researchers who requested to draw blood samples from them. One of the issues regarding the ethical use of HeLa cells that has not been widely discussed until recently is the fact that DNA information contained in HeLa cells has been exposed via medical research through published papers by researchers. This also has exposed her children's health information to the public. Up until the agreement was reached the Lacks children had no power to control how that information was disclosed. Even though there has been public recognition of Henrietta's contribution to humankind her family has struggled to obtain basic health care for themselves. A true ironic twist in this story because it is their mother's cells that have provided treatment solutions for untold numbers of people. It was announced in the media on August 8th that the family and the National Institutes of Health (NIH) have reached an agreement regarding the use of HeLa cells. The family will have a direct part in determining which researchers can use their mother's cells. They will sit on a board that will review the applications for use of the cells and how information will be shared. The Lacks family will receive no monetary compensation according to this agreement for the long term use of HeLa cells. In an interview on PBS News Hour Margret Warner questioned Dr. Francis Collins from NIH about the agreement that had been reached with the family. MARGARET WARNER: And the family will still receive no financial benefit here? DR. FRANCIS COLLINS: They will not. And they are basically not asking for that. They did think it was fair to have a seat at table when it is their medical circumstances that might also be involved here, and we thought they were right about that. I find myself questioning if the family sought out any type of legal advice prior to this meeting with the representative from NIH. I have no doubt that this would be an expensive legal battle and one that could extend out for quite a considerable period of time. However, HeLa cells have been in use for sixty years. The corporations that have sold them have made sizable profits. Given the fact that the cells were obtained in an unethical manner Henrietta Lacks family deserves some form of monetary compensation. I also believe that by pushing the issue of monetary compensation for the use of HeLa cells it opens the door for the medical community to make an admission regarding how race and class determines the type of treatment that a patient will or will not receive. Yes, race is a factor in the field of medicine and it does impact the type of treatments that a doctor prescribes to their patients. The Supreme Court's 2013 ruling prevents patenting genes that come from human cells. This ruling may in fact be of major importance to the Lacks family because in the age of extreme corporate greed it would not be difficult to see a move made to patent HeLa cells. Rebecca Skloot donated a portion of the book's profits to establish the Henrietta Lacks Foundation. A non-profit that helps the Lacks family members and other needy individuals who do not access to health care. You can read about the foundation here. You can also listen to an interview that features her talking about this agreement on The Takeaway. You can read the entire transcript from PBS News Hour story on the agreement that was reached between the family and NIH here.